As I sat in my favorite spot in my favorite coffee shop Monday afternoon, I took a break from my work and decided to make a little design for my phone, then I decided to share the final results with some friends. Towards the end of the year last year I had many ups and downs, everyday was a surprise and in a period of much growth it seemed as if there weren't many constants. This year has been very different, at least internally even if there are many ups & downs throughout my day I feel a little more constant inside. Sometimes though, as a human, I fail. It happens naturally, resulting in me a reminder that someone greater is in control. The design made came from a thought came up multiple times last week. It was ll of Psalm 46, but specifically the following verses. The idea of being still and knowing that God is who He says He is was very sobering and humbling. Yet again I was reminded that I can't control lots of things. Sometimes I just need to stop, be still, observe the greatness of who God is, and then keep going. A couple of days after I first read this I re-read it in the Spanish version. 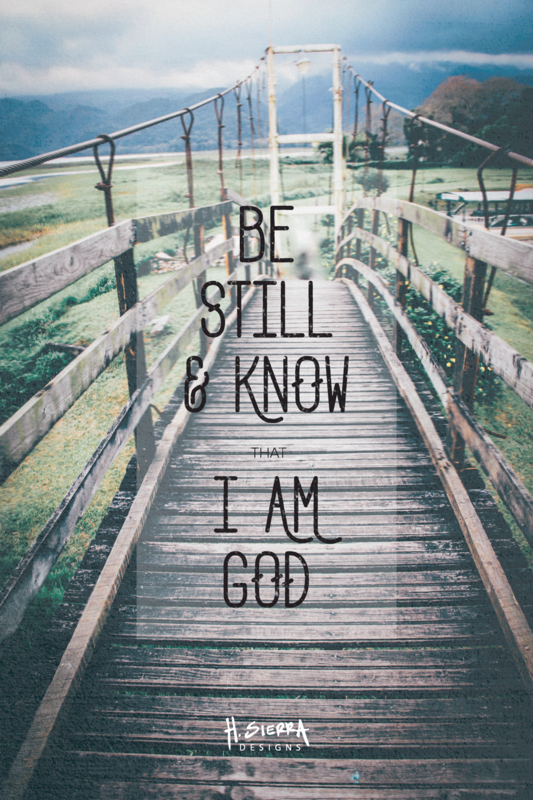 The phrase better translates as "Be still & recognize that I am God." 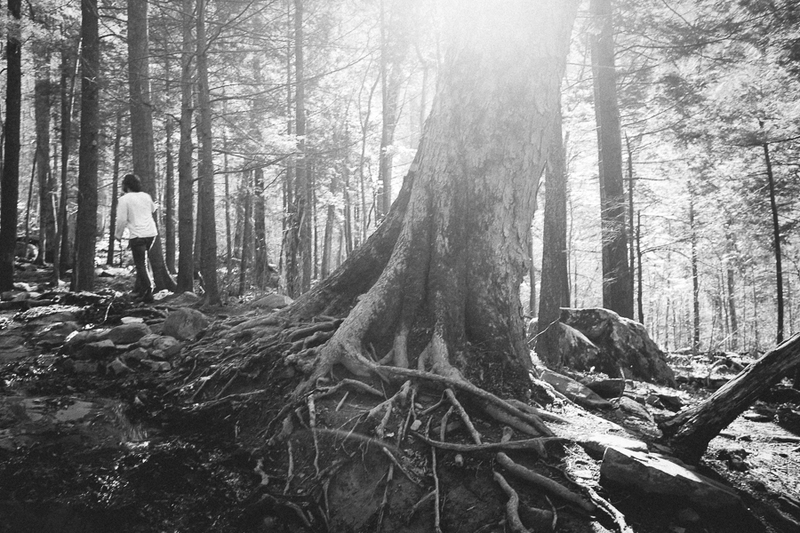 Picture taken at Smoky Mountains National Park, Rainbow Waterfall Trail. As I try to write these phrases in my heart, I realized I needed a reminder. My phone is the device I look at the most during the day, besides my laptop, so I made 3 different phone backgrounds. I also had a new font (adrift), that I want to use for everything, so it was fun to put it to use for myself. I love taking photos of nature, when I am outside I can easily connect with who God is and admire his greatness and creativity. So the backgrounds I used are pictures I took in 2 different trips, some at the Smoky Mountains (because the black & white reminds me of stillness) and one in Honduras (because I always love color and bodies of water). After making the covers, I thought to myself that others might find these reminders comforting also. If you like the covers, I hope you download them and use them as your phone wallpaper or send them to a friend via text. Did you like the pictures?? I love nature Be on the lookout for a new post with pictures from Smoky Mountains. If not, here's a link to picture of my beautiful homeland: Honduras.